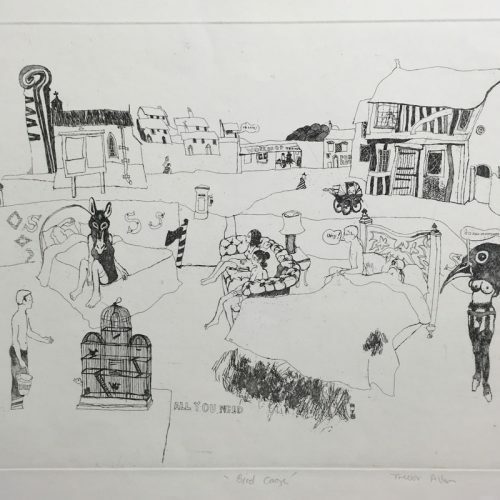 Andrew Rush, printmaker, painter, sculptor, and teacher, was born in Detroit, Michigan on 24 September 1931 to Harvey and Mary Louise Stalker Rush. 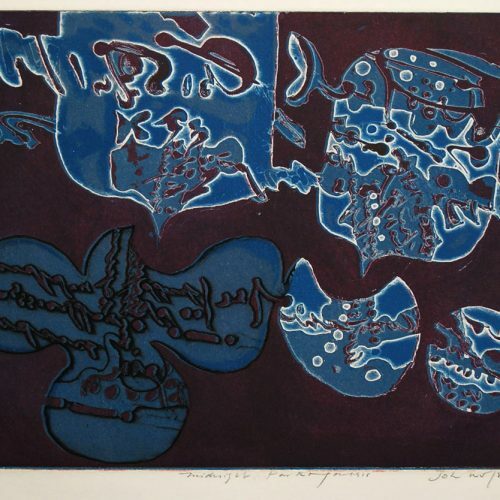 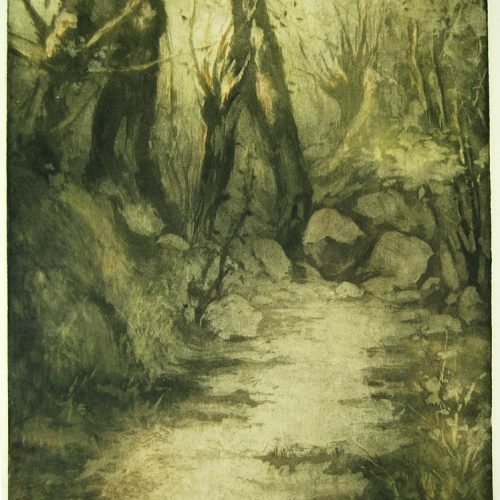 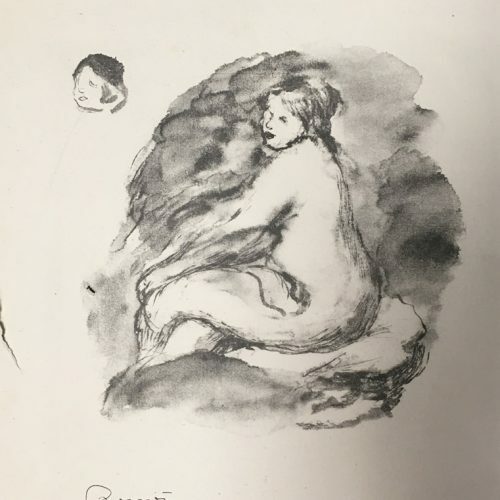 Rush completed his undergraduate studies with printmaker Lee Chesney at the University of Illinois and received his Bachelor of Fine Arts degree with honors in 1953. 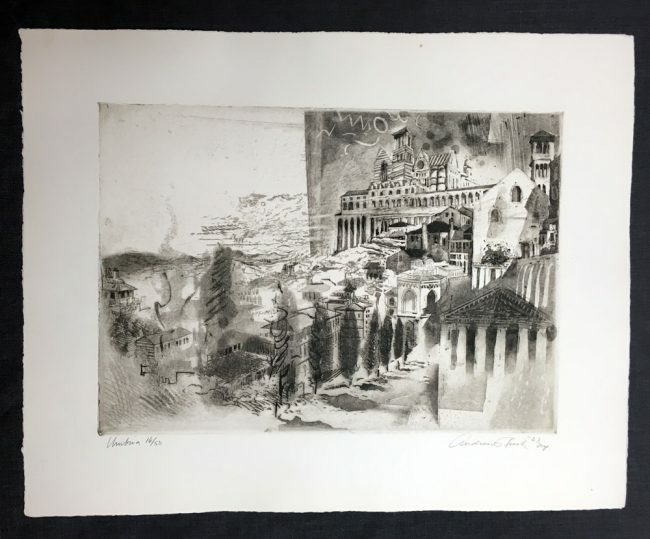 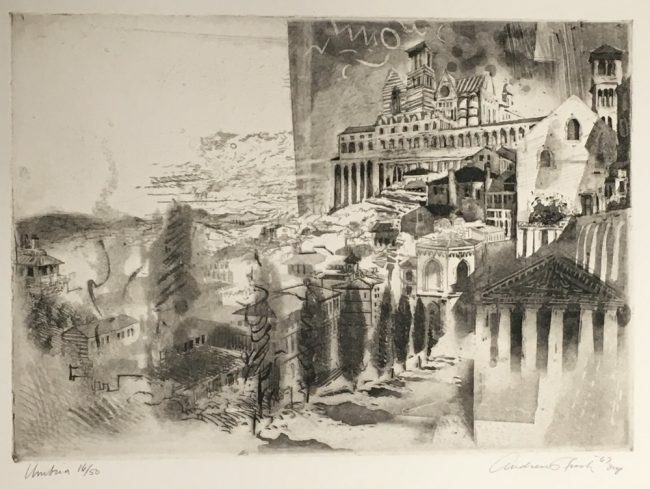 After serving in the US Marine Corps, Rush studied printmaking with Mauricio Lasansky in the graduate program at the University of Iowa, earning his Master of Fine Arts degree in 1958. 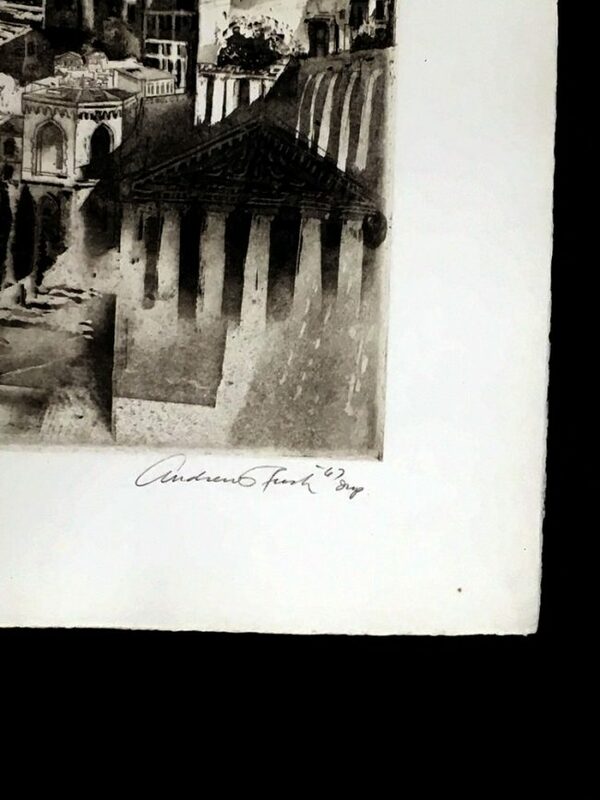 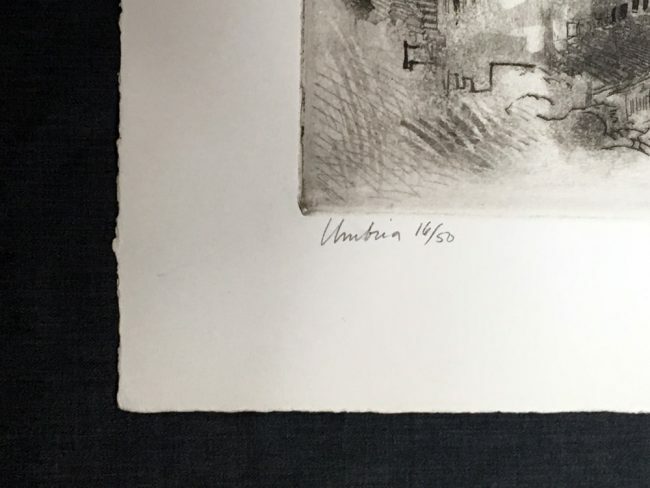 That same year he received a Fulbright Grant to study printmaking in Florence, Italy.